Most of us are familiar with fishbone or Ishekawa analysis, using a structure like Figure 1, as a technique for recording causes, identifying lessons and developing action plans for improving outcomes. 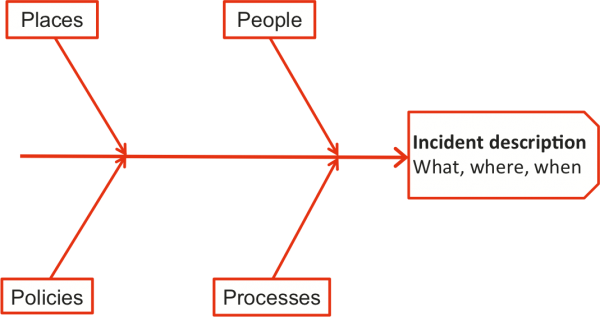 This simple form of root cause analysis is successful because it imposes a structure on thinking about what, when and where a success or failure has occurred. This case study demonstrates a different but equally simple structure used for the same purpose, to look back at what happened in a completed project and develop recommendations to ensure lessons were understood, disseminated across the organisation and improvements were ‘locked in’ for future projects of a similar kind. The project involved the construction of underground road tunnels in an urban area. Part of the route passed below an important underground railway corridor, not far from an underground station complex and transport interchange. 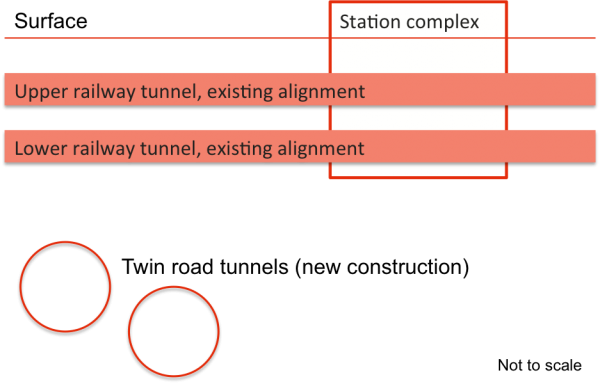 The focus of this case study is the interface between the construction of the road tunnels and the existing rail assets, outlined in Figure 2 and Figure 3, and the inter-relationships between the organisations involved. The municipal council that had statutory authority over some aspects of planning and development consents. 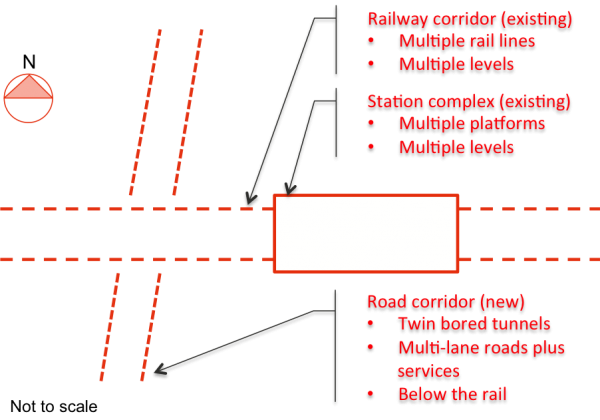 The importance of the railway and the risks associated with nearby construction were recognised at an early stage of the development of the project concept and governance structure. In particular, an oversight committee was established for the project, with representatives from the state Government and senior members of the teams with direct accountability for the project in the road agency, the rail authority and, after award of the contract, the construction company. Develop recommendations to ensure the lessons and associated improved ways of doing things became standard practice for future, similar projects. Figure 4 illustrates the structure of the analysis. The description in this case study is concerned with the preparation and workshop phases, to the point of developing suggestions for the future in the form of specific recommendations. The development and implementation of action plans was a later task for the rail agency. It is in the interest of all concerned that workshops should be effective, so they generate the desired outcomes, and efficient, so they make best use of resources and don’t waste people’s time. In our experience, detailed preparation is the key to this. After a further review with the project manager, we finalised the topic structure and the information summary in the form of a briefing note for participants in the workshop. Related elements that might be relevant for the discussion, marked with an information icon. We conducted a one-day lessons learned workshop. Participants were members of the rail agency’s project team, selected specialist advisers, a workshop facilitator and a workshop recorder. Develop recommendations for future projects of a similar kind. The discussion was recorded in a template like the one in Figure 6. The workshop examined 23 priority topics drawn from the expanded version of Figure 5, but not all of them generated useful lessons or recommendations. There were 39 specific recommendations, with supporting information in the form of completed data templates like Figure 6. Table 1 and Table 2 illustrate the kinds of outcomes generated in the workshop and the level of detail of the discussion. Post-completion reviews offer many benefits to the organisations that conduct them. They facilitate the identification of what went well and what could have been done in a better way, and why those outcomes arose. This leads to actions targeted at improving outcomes for future projects, by locking in the precursors or causes of successful results and avoiding or reducing the causes of poor results. All of the organisations involved in this project could have benefited from a review like this one. 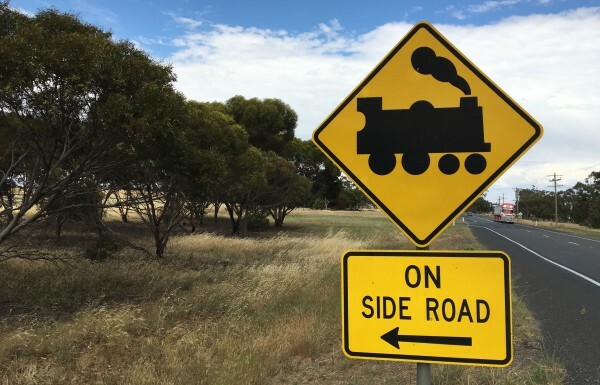 We were working with the rail agency, but the road agency and the road contractor would have benefited from similar reviews within their own organisations; they may have done so, but we have no knowledge of this. The outcomes of this review, and particularly the outcomes relating to rail safety, were important for the rail agency. It had specific statutory obligations for safety under its enabling legislation, a feature that is common to rail organisations in many jurisdictions. Almost all of the technical requirements in Appendix 99 had their basis, in some form, in the need to ensure the safe operation of the railway. 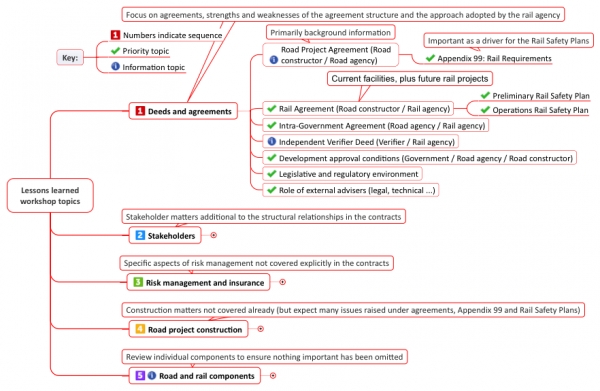 The topics identified in Figure 5 were valuable for structuring the workshop. As well as setting the agenda and timing, they shaped the participants’ approach to the discussions. They focused initial attention on governance, contract structure and relationship matters that would have general applicability to many projects like this one, and only later getting into technical engineering detail that was more specific to this particular context. Not all elements generated useful observations, lessons and recommendations. After discussion, some elements turned out to be less important than initial analysis suggested or members of the team had thought. Nevertheless it was important to have reviewed them, to ensure a comprehensive approach and avoid inadvertently missing anything that might have been important. As anticipated in the notes for the major topics in Figure 5, some of the detail associated with later elements had been covered already in the discussion on earlier ones. Neither one generates lessons directly, although cause and effect trees allow root causes to be identified explicitly in a way that allows lessons to be extracted more easily from the analysis. It allowed 39 specific and useful recommendations to emerge from the workshop and be agreed by the participants. The chosen recording structure here was not a default or lazy option. It arose from a deliberate decision, made jointly by the facilitator and the project manager. It is instructive to note that the process used here, illustrated in Figure 4, is broadly comparable with the generic steps in a root cause analysis advocated by the international standard IEC 62740-2015 Root cause analysis (RCA), illustrated in Figure 7. (Note that IEC 62740 was published after the case study described here.) The steps in each process align, as shown in Table 3, but IEC 62740 stops after the presentation of results, whereas the process we used includes the development of action plans that ensure the workshop outcomes, recommendations in our case, are the focus of targeted implementation efforts. Unless action is taken, the analysis can have little value to anyone other than the workshop participants, and that may be only fleeting. 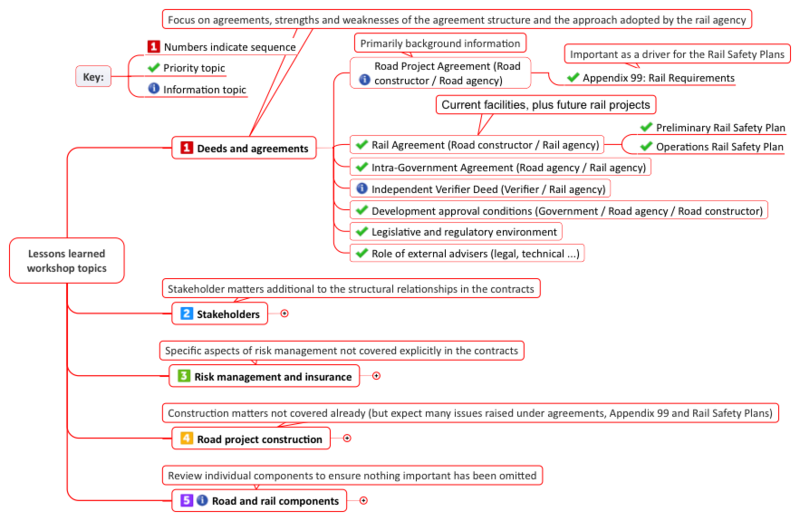 The participants had a high-level view of the rail agency, the road agency and Government processes, so they were able to generate and agree quickly on recommendations arising from the project that would be general enough to have wide applicability, would be feasible to implement within foreseeable organisational and commercial structures, and would be seen as sensible by all parties.